Traipsing around in an open savanna under gnarled, seemingly ancient, Bur Oaks trees is like being in a little slice of heaven. But why are these gigantic mounds of dirt lying about? 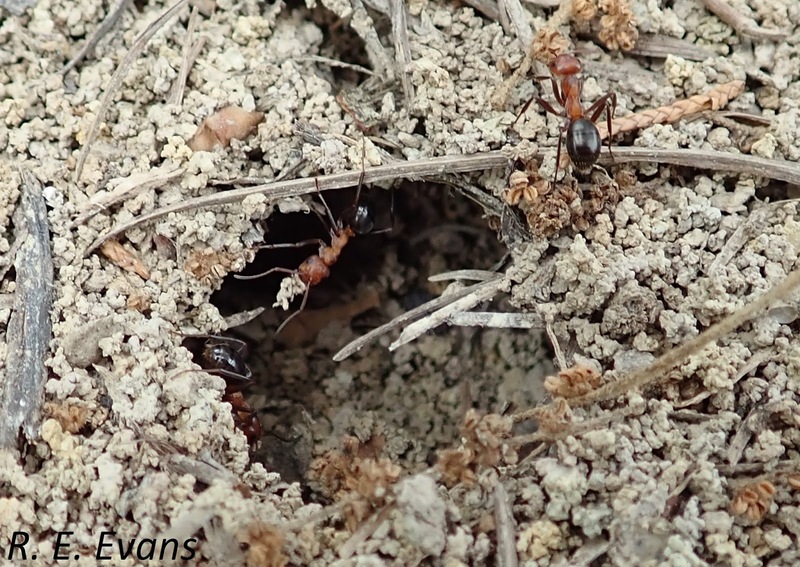 The denizens of these mounds quickly showed themselves; large two-colored ants, with red heads and thorax and large black, shiny gaster or "metasoma". Based on their appearance and distinctive mounds, I believe they were Allegheny Mound Ants (Formica exsectoides). 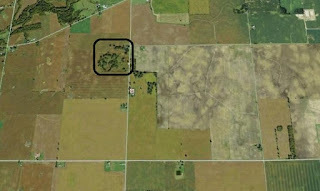 The site is truly remarkable in the modern day landscape, and has been considered to be the "largest and best preserved remnant of the unplowed, deep soil prairies and savannahs that were present at the easternmost extension of the Prairie Peninsula prior to European settlement" (Mack & Boerner 2004, Castanea). 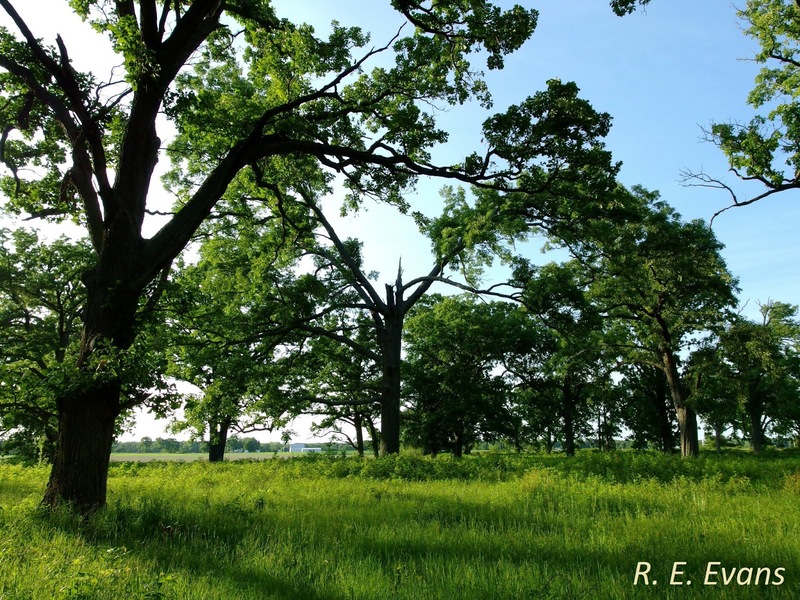 Bur Oak Savanna dominated by Quercus macrocarpa, Crawford County, Ohio. 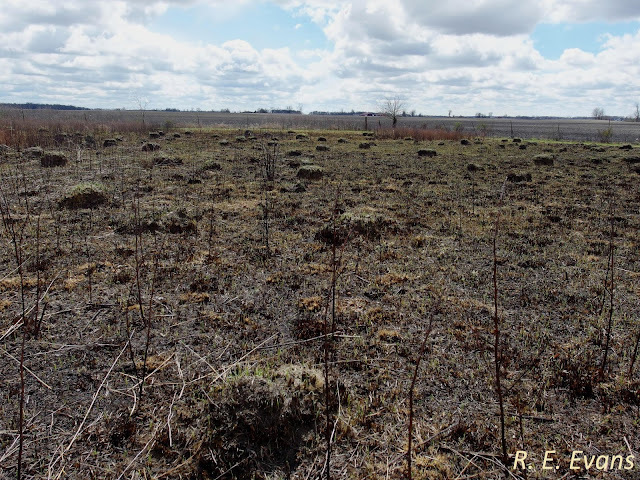 What ecological role could ants be serving in this habitat remnant? Previously, at this site I had noticed ants clamoring on Sullivant's Milkweed (Asclepias sullivantii). Not being an ant taxonomist, I struggled with whether or not these were the same species as those from the nearby mounds. With the gracious assistance of Dr. Kaloyan Ivanov of the Virginia Museum of Natural History they are tentatively identified as Formica pallidefulva, not the Allegheny Mound Builders. These ants seemed to be daintily sipping nectar from the flowers (see image below). Could they be pollinating this prairie species? Ants (presumably Formica pallidefulva) sipping nectar from Sullivant's Milkweed in Bur Oak Savanna, Crawford County, Ohio. Perhaps, but after a bit of research I learned that ants rarely pollinate flowers. More often than not, they simply steal nectar, and are often referred to as "nectar robbers". For example, Wyatt (1980, Bulletin of Torrey Botanical Club) found that ants on a different milkweed species both reduced the amount of nectar available to butterflies and the overall effectiveness of the pollinators. He termed ants "harmful to evolved pollination systems", and a "maladaptive force". 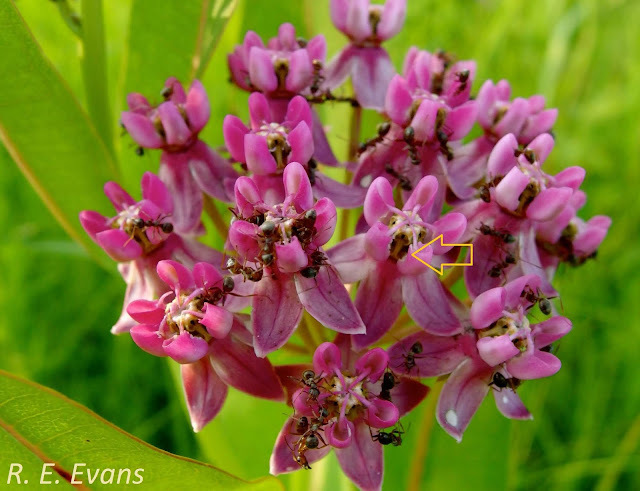 I looked at further images I had taken of the Sullivant's Milkweed with ants and noticed what appeared to be "maladaptive" behavior taken to a new level. It appears that the ants were actively chewing away the flower structures, literally tearing open the stigmatic slit (where a pollinator leg would be expected to enter), impacting or even removing the ovary! (see image below). Damaging milkweed! Interrupting butterflies! This behavior must stop! 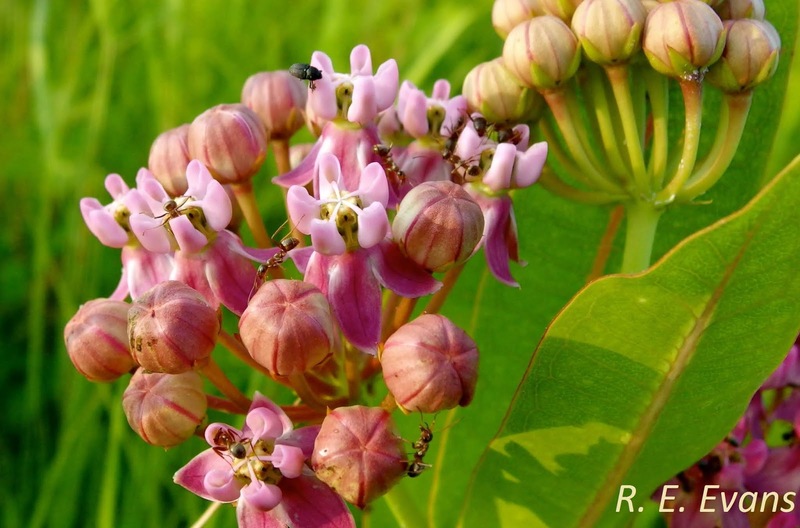 Although Allegheny Mound Ants weren't apparently responsible for the milkweed damage, much of the readily available information on them involved recommendations like, "drenching a mound with liquid insecticide". 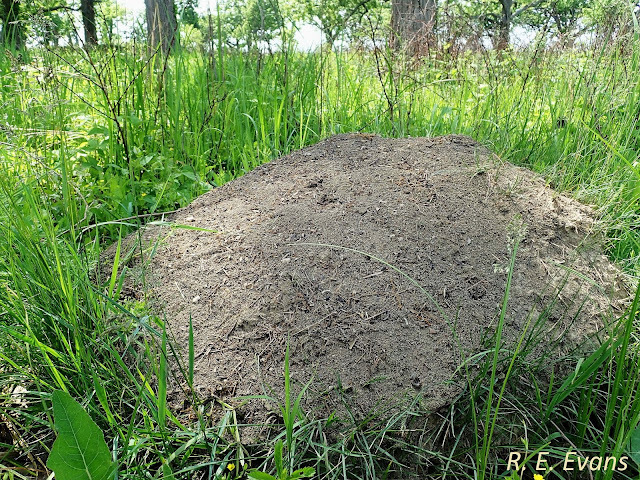 Michigan State Extension justifies doing so because, "the ants kill nearby vegetation including small tress and shrubs to keep shade off the mound. They do this by chewing a small hole in the bark and injecting formic acid into the wound" (http://msue.anr.msu.edu/news/mound_ants). In contrast, Maine State Extension actually recommends ENCOURAGING their populations because the ant "plays a vital role....in a variety of ecosystems" (https://extension.umaine.edu/blueberries/factsheets/insects/195-allegheny-mound-ant/). Reverend Henry McCook (image left), was possibly the first and most careful observer of the Mound Ants. At one point he actually dug up an entire mound, frozen in the dead of winter, and transported it intact to the Academy of Natural Sciences in Philadelphia. His assumption that the colony "had gone down for winter-quarters into the deep galleries below the surface" was proven wrong when the mound thawed along with the "horde of hibernating ants within" which poured out all over the museum (1907, Nature's Craftsmen Popular Studies of Ants and other insects). In his earlier work, McCook (1877, Transactions American Entomological Society) described the most common size of mounds as 10-12 feet in circumference and 2.5 - 3 feet in height, but also mounds of tremendous size (over 6' in height and 50' in diameter). Andrews (1926, Pysche) suggested the Allegheny Mound Ants were the most common mound builder in North America, ranging at least from Maine through Georgia. However, he also suggested they were most often associated with places "left comparatively free from live stock and human interferences". When encountered, mounds can be quite abundant. 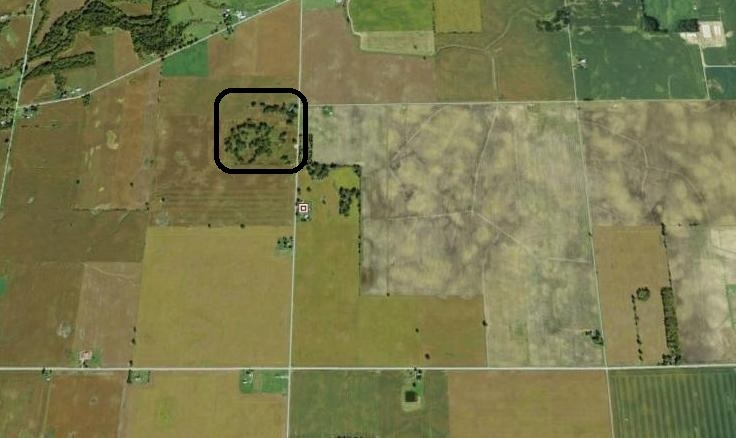 The incomparable Reverend McCook reported densities ranging from 25-59/acre. My observations (see image below) suggest densities can be even higher in some locations. High population densities, coupled with their reported tendency to kill nearby small trees and shrubs could certainly play a role in maintaining the open structure of prairies and savannas they inhabit. numerous papers describe their contributions to mixing, aerating, and altering nutrient dynamics of soils they inhabit, and several document vegetation associations with mound ants (see Nemec, 2014, Journal of Insect Conservation). Consider just the amount of surface area directly affected by the mounds in the image above. Baxter & Hole (1967, Proc. 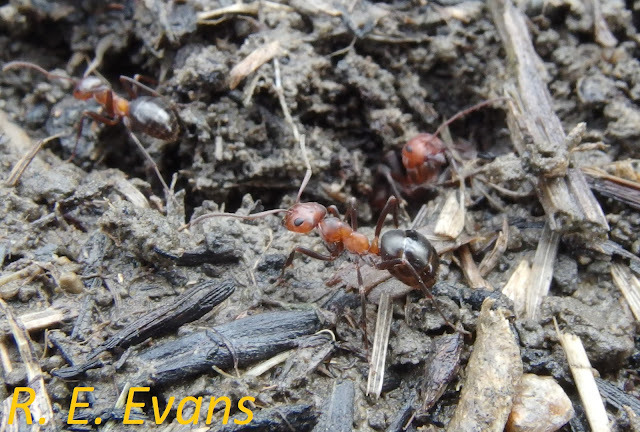 Soil Science Society Abstract, ) studied mound ants of a related species in a prairie remnant in southeastern Wisconsin. They showed the ants (which occupied 1.7% of the surface area) significantly altered the soil surface by bringing material upward and introducing organic material from their feeding habits. Overall, they believed the ants may be responsible for distinguishing the prairie soil from that of an adjacent and comparable forested area. In the end, it seems, the ants may create the prairie!